Java ME / J2ME - Java Micro Edition, used a lot in the past for embedded systems, cellphones and low power mobile devices. You must remember that games from old cellphones. Java SE / J2SE - Java Standard Edition, used a lot in the past years for typical Desktop applications, aiming to run in personal computers and small business, for local small to medium solutions. You can see this kind of applications running in stores. Java EE / J2EE - Java Enterprise Edition, actually the most used for enterprise solutions and growing, biggest and powerful Java solution for scalable and web based systems. Used by big companies and many of the new web based systems. 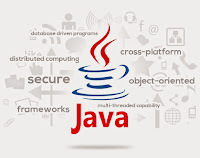 Java technology is actually hold by Oracle (famous for database solutions), but was created by Sun Microsystems, this is why you will find many Java content related to both companies.